Blog › Information › Do you require a Spring Gate Castor? We supply a wide range of wheels and castors, including agricultural castors and industrial castors to fulfil all our customers needs, supporting a variety of applications. 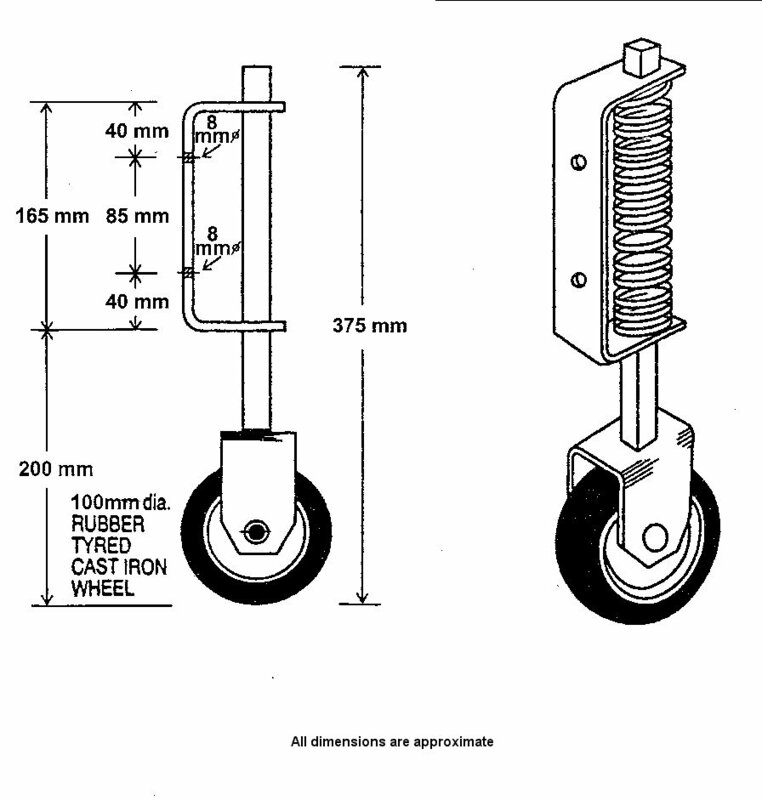 Our special purpose castor specifically designed for gates is manufactured of a rubber tyre on a cast iron wheel, it has a 100mm wheel diameter and is 375mm tall in total. Gate castors are designed to support the end of a gate, to relieve the strain and wear on gate hinges and provide a smooth controlled movement. They are also designed to carry the entire weight of a gate daily, we'd advice that the castor should be mounted the opposite end of the gate to the hinges, in order to be as effective as possible and create an even support. 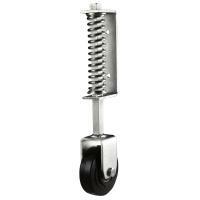 Our spring loaded gate wheel is secure and makes it easy to operate large heavy gates, which are often on uneven or sloping surfaces, counterbalanced by its automatic height adjustment spring. This castor features the sealed 'greased for life' ball journal axle bearings, providing years of smooth trouble free operation. For further specifications and for a 3D view of our Spring Loaded Gate Castor simply select this link. If you're looking for high quality fixed castors which securely support your application, we can help! To find out more about any of our castor wheels or if you require the advice of our experts, simply contact us today.